High-power water jetting is an extremely versatile service, something that can be utilised for a variety of situations. Our specialist water jetting services team have years of experience in working on high power jetting projects, providing a professional and cost-effective service to clients across a huge range of industries. We utilise water jetting for several of our services, ensuring that our team work only with the latest technologies. Industrial cleaning involves high-power water jetting services as part of the cleaning process. Our specialist team have over 20 years of experience in providing industrial cleaning to clients throughout the UK. 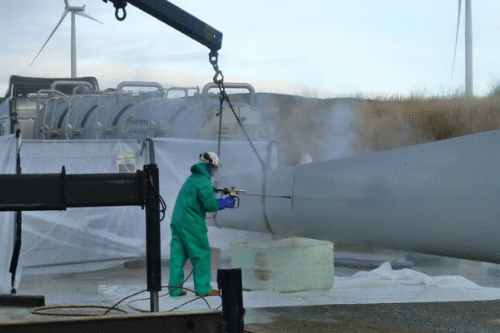 Tank cleaning is another of our most sought-after services, our professional team specialise in working on complex tank cleaning projects including chemical and hazardous materials, decontamination and non-entry tank cleaning. Once the issue within a drainage network has been identified via CCTV drain surveys, sewer blockages can be resolved with high-power water jetting to remove the debris and clear the area thoroughly. Cleaning small, difficult to reach areas can be a hard task. However, our professional team utilise water jetting to ensure the area is cleaned thoroughly with any blockages removed with ease. Silo cleaning requires a specialise team that understand how the machinery works. Concrete cutting is an extremely specialist service. Providers must have an extensive knowledge of how to utilise high power water jetting to effectively remove concrete. Our team have worked on complex projects that have had numerous restrictions in terms of health and safety. Working with our experienced team have an extensive knowledge of water jetting services, working alongside our clients to ensure the brief is met without hesitation. Our years in the industry mean that we understand the complexities of utilising water jetting service to solve a range of issues. If you would like to know more about our industrial water jetting services, do not hesitate to get in touch with our experienced team. We have an extensive knowledge of how to utilise high power jetting within industrial environments. We have worked on thousands of projects from tank and industrial cleaning, through to silo blockages and concrete cutting. To speak to a member of our team simply fill in the contact form on our website and we will be in touch with as soon as we can.